After a week of talks, German coalition negotiators agreed on the cornerstones of their new programme. But when a new government could actively participate in meaningful EU reform is still uncertain. EURACTIV Germany reports. In the programme, there is not much left of the optimism and visions for a leading role in Europe that was once touted. The upcoming SPD party congress vote is hanging like the sword of Damocles above the final decision over the forming of a new government. Contrary to Angela Merkel’s (CDU) election campaign promise to comply with the agreed climate targets for Germany, and after acting Environment Minister Barbara Hendricks (SPD) was rebuked by the Commission about her country’s transport and agricultural CO2 footprint, it has become very clear that Germany will not be able to keep its promises. Germany has committed itself to reducing its CO2 emissions by 40% by 2020 compared to 1990. By 2030, emissions are expected to fall by 55% and by 2050 by 80-95%. Failures on the part of the current government to comply with this are referred to on the coalition paper as a “plot hole”, which has to be closed “definitely and quickly”. 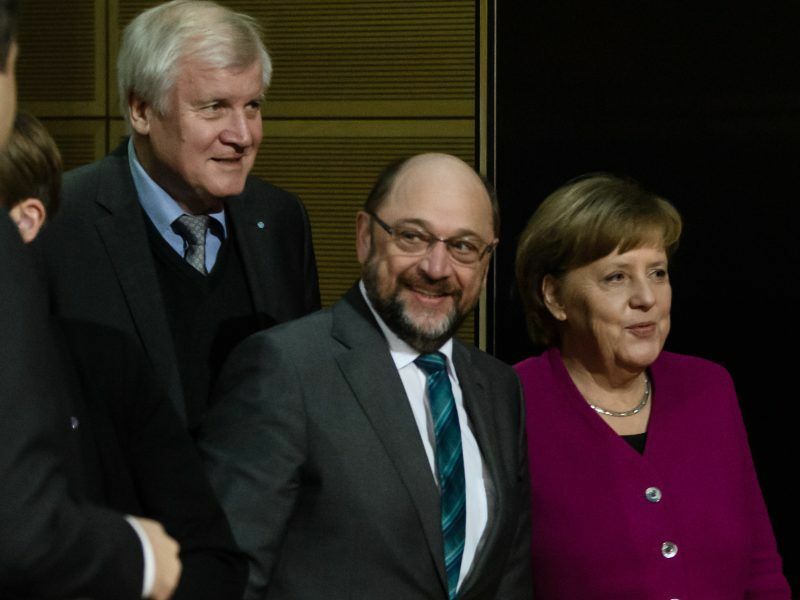 Negotiators for German Chancellor Angela Merkel’s conservatives and the centre-left Social Democrats (SPD) will try on Monday (5 February) to hammer out compromises on healthcare and labour policy – the final stumbling blocks in the way of another ‘grand coalition’. Expansion of renewable energies will also ramp up. Their share in electricity consumption is expected to be 65% by 2030. Hendricks sees this as a guarantee that Germany is “on track” to “become a pioneer in climate protection again”. Whether it is possible to catch up with China, which in the meantime has clearly replaced Germany as a pioneer in renewables with its growth policy, remains questionable. 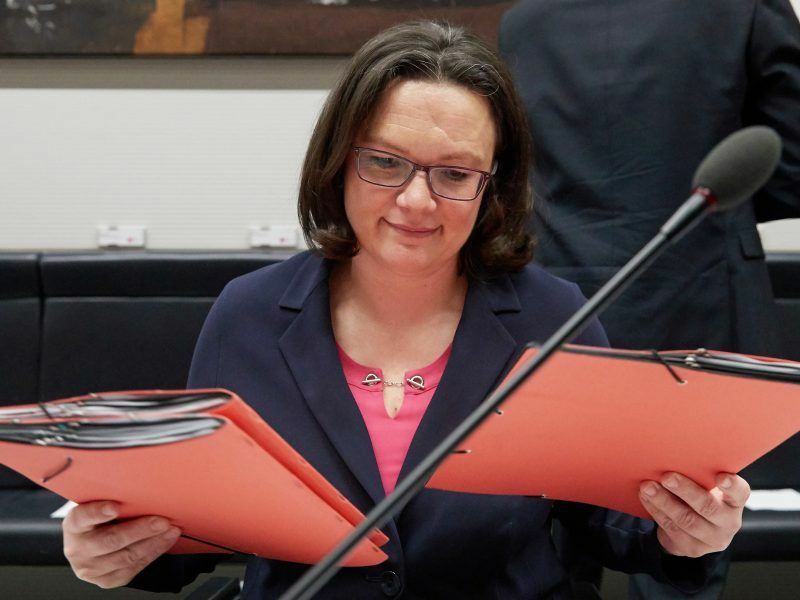 The Bundesrepublik remained invested in coal, oil and natural gas industries for some time and the new coalition agreement does not want to reverse this aim. 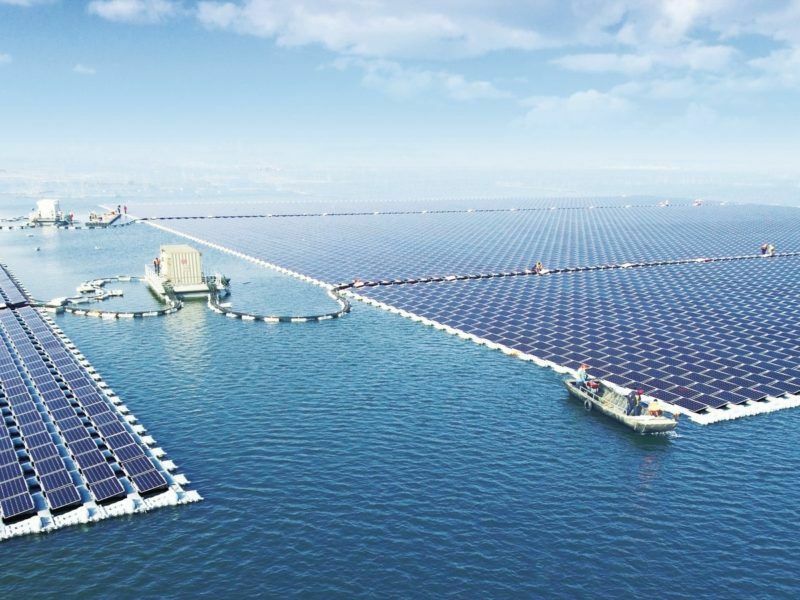 China has reached its 2020 solar power target three years ahead of schedule, after installed capacity topped well over its 105GW target. Europe has been urged to show similar ambition. “We will not focus on an exit philosophy, but a realistic reduction of CO2 in energy production,” said the governor of North Rhine-Westphalia and leading negotiator for the CDU, Armin Laschet. The promise, that under the new government grid expansion is going to be fastened, does not help either – that pledge was already made when Merkel first took office. The pace of ongoing staff recruitment for the new government also suggests that “fast” will remain a relative expression when it comes to climate protection. After the controversial renewal of weed killer glyphosate’s EU approval,its usage will be limited in Germany and “as soon as possible essentially terminated”, the former German agriculture minister Christian Schmidt (CSU) said. Schmidt upset the apple cart when he went rogue and significantly contributed to the re-licensing of glyphosate. In the meantime, Schmidt, now the acting German minister of transport, got rebuked by the Commission, because in 28 German regions pollution with health-damaging nitric oxides, a by-product of diesel engines is considered too high. Germany is now threatened by an infringement procedure and a lawsuit at EU level. But this did not prevent Schmidt from explicitly thanking the German car industry at the New Year’s reception of the German Association of the Automotive Industry. At the same time, according to a recent survey the majority of Germans are against the usage of glyphosate and in favour of more sustainable agriculture. Meanwhile, the communiques of the coalition meetings are nothing more than lip service. 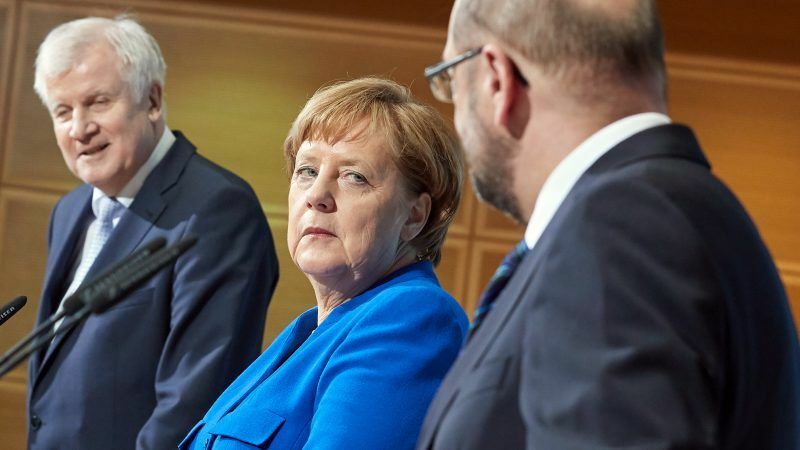 Germany will allegedly take a more active stand in strengthening the EU but there is nothing tangible included, even when it comes to French President Emmanuel Macron’s reform plans for the eurozone. How far those efforts are meant to go remains uncertain too. Generally, the new German government will show a readiness for “higher German contributions towards the EU budget”. 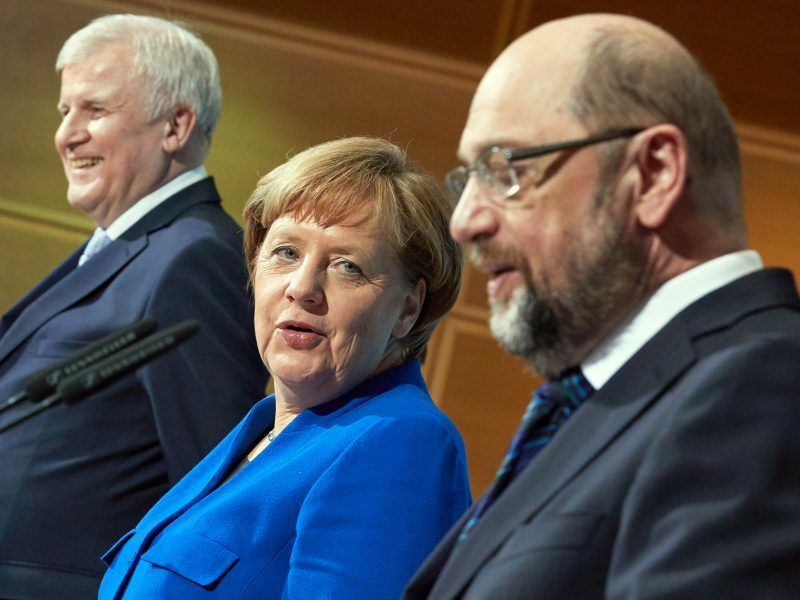 Both Schulz and Merkel voiced readiness to become more specific in the process. Little of this optimistic mood was heard during the coalition talks though. Regarding migration policy, the bottom line is: Ceci n’est pas un “Obergrenze”. The goal of the coalition negotiations is meant to be “solidarity in sharing of responsibilities in the EU”, which for the future German policy can be translated into the fact that the number of refugees should not exceed 180,000 to 220,000 per year. Asylum procedures would take place in “central admission, decision and return facilities”. The preliminary findings of the coalition papers are “everything else than a great success”, a survey conducted by the Ifo economist panel in co-operation with the Frankfurter Allgemeine Zeitung found. The majority of the surveyed economists share a positive outlook on the future direction of Germany under a new grand coalition rather than a sceptical one. “Overall, the Groko [Grand coalition] radiates despondency and backwardness. It will not be able to lift the social tensions,” warns economist Andreas Freytag. “If today you want to be pro-European, you have to tackle reforms with determination instead of sticking to commonplaces. Europe’s future is not shaped with phrases, but with courageous deeds. The EU and the SPD need to do a lot of groundwork in the coalition negotiations, otherwise they will miss an historic European opportunity,” said MEP Sven Giegold, the economic and financial spokesman for the Greens /EFA. Any how after this new unnatural GRSKO AfD will have 40% seats in German parliament.